is an experience like no other. COUPLED WITH A WORLD CHAMPIONSHIP ENDURANCE RACE! AWESOME PEOPLE and CARS IN AN AMAZING SETTING! 100|OCT (“Hundred Octane”) is pleased to invite you to join us in our upcoming 100|OCT Cars and Croissants at California 8 Hours, at Laguna Seca Raceway!! This is a rare opportunity to display your exotic car in the paddock of a world-class track, along 49 other amazing cars, on a weekend where the race version of your car is running against other amazing GT cars and manufacturers! 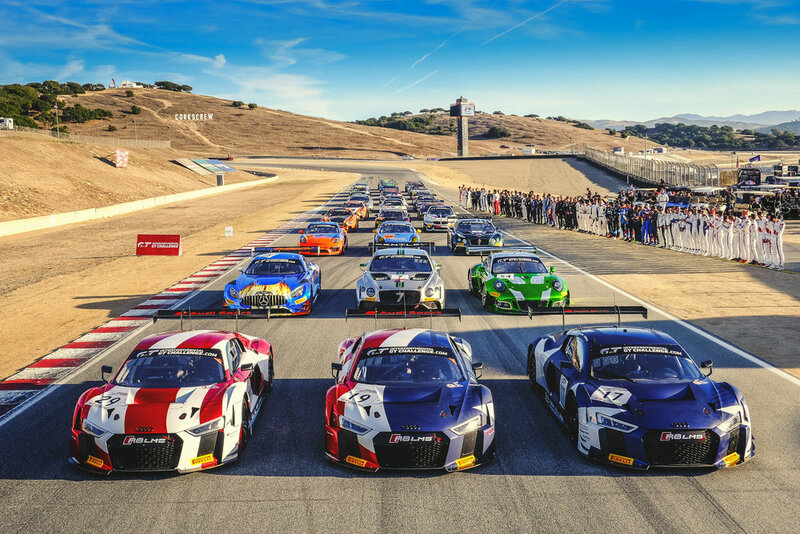 Whether you’re a fan of Ferrari, Audi, Aston Martin, Mercedes AMG, Bentley, BMW, Nissan, or Acura, come display your car and cheer along as these manufacturers go head to heard on one of the best tracks in the world! This event isn’t only about showing your car though – it’s about sharing the whole race experience with fun crowds and enjoying the exotic car lifestyle. the BEST WAY TO EXPERIENCE THE INTERCONTINENTAL GT CHALLENGE! - Access to the 100|OCT VIP Lounge, with couches, coffee and croissants in the morning, snacks and refreshments all day, etc. This event is included in the 100|OCT Club membership. If you would like to join, please visit our 100|OCT Club page! If you are interested in sponsoring this event, please contact us! Participation to this event will be limited to 50 cars. So do not wait!